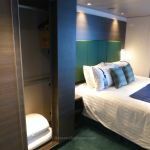 I stayed the night on MSC Meraviglia in the accessible Bella grade cabin 8090. 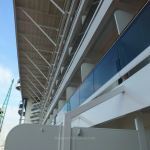 My allocation of an accessible cabin meant I could investigate how wheelchair-friendly such cabins are on MSC Cruises' latest flagship. The dark green-themed cabin, like many, has good points and bad points. 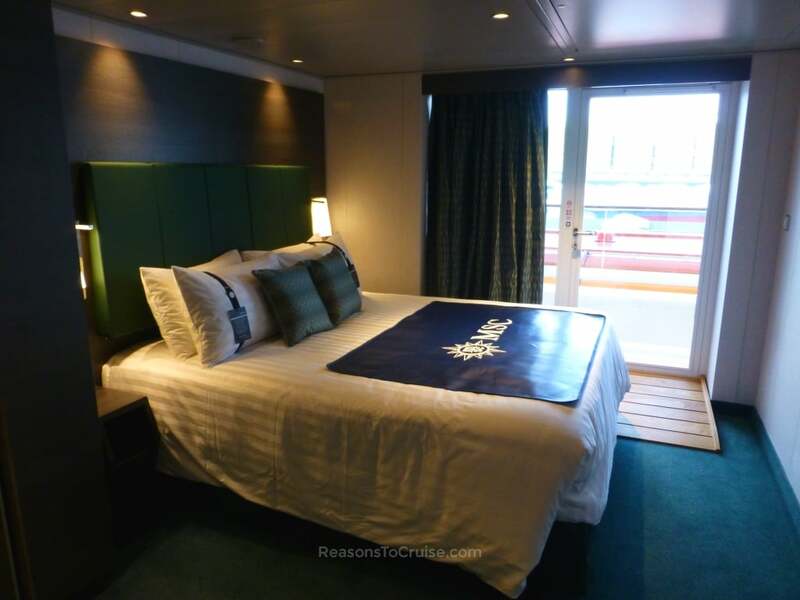 I spotted a couple of accessibility issues that may cause some issues, as well as some quirks which determined this cabin a Bella grade experience room on MSC Meraviglia. The cabin entrance door is on the left-hand side of the room. Use your NFC-enabled cabin card or bracelet to unlock the door, which opens outwards into the corridor. Immediately in front of you is a small wardrobe with soft close sliding doors. There is a mix of shelving space and hanger space, and the safe is tucked in here along with towels for the pools. Beyond is a comfortable double bed. The deck plan shows this cabin as having a sofa bed, but instead, it has a single Pullman bed tucked into a recess in the ceiling. There is no sofa in the cabin, but there is a small heavy stool tucked under the desk. 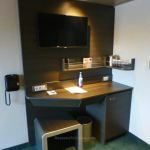 The small desk, squashed against the en-suite bathroom wall, has a lockable mini bar beneath, plus a hidden drawer with hair-dryer inside. A wall-mounted telephone, television, and ice bucket rack all saves vital desk space, although I thought it was an odd decision to mount the television on a fixed bracket. Watching TV from the double bed or the Pullman bed will not be comfortable. 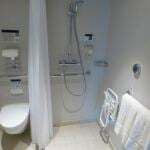 The en-suite shower room is open plan and constructed much like a wet room. A shower curtain keeps the shower spray within a contained area, while covered drainage helps wick away the water quickly. The eco shower with gentle spray, helps control the flow of water. The space in the bathroom is very generous, and the sense of space thanks to the removal of a glass-panelled shower cubicle is amazing. A small sink and vanity area sit to the side, and the toilet sits at the back. Signature 'Med by MSC' toiletries are available in the bathroom from pump dispensers. Soap is by the sink, while shampoo and shower gels are by the shower. 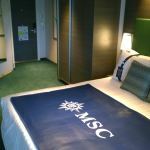 The footprint of the cabin feels larger than the standard balcony cabin I slept in on sister-ship MSC Preziosa. 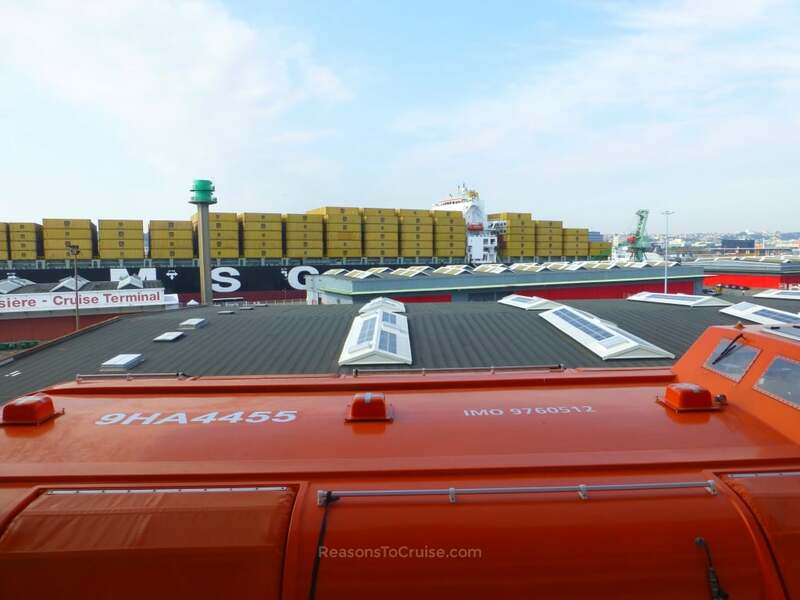 This feeling of spaciousness is largely thanks to the deep balcony, the spacious design of the bathroom, and the slimline furniture in the cabin. 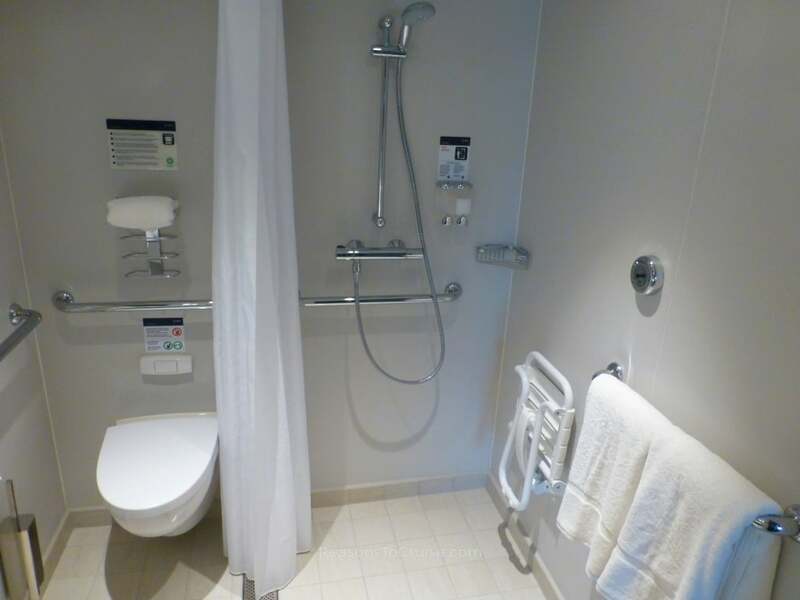 This cabin can accommodate up to three people comfortably, and even though the cabin is primarily for accessible use, the helpful mobility aids are discreet. I like the addition of dual height security peepholes on the cabin door, the openness of the bathroom, and that the accessibility aids blend into the design. 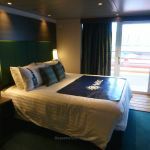 The cabin sits on the starboard side of the mid-front part of the ship. 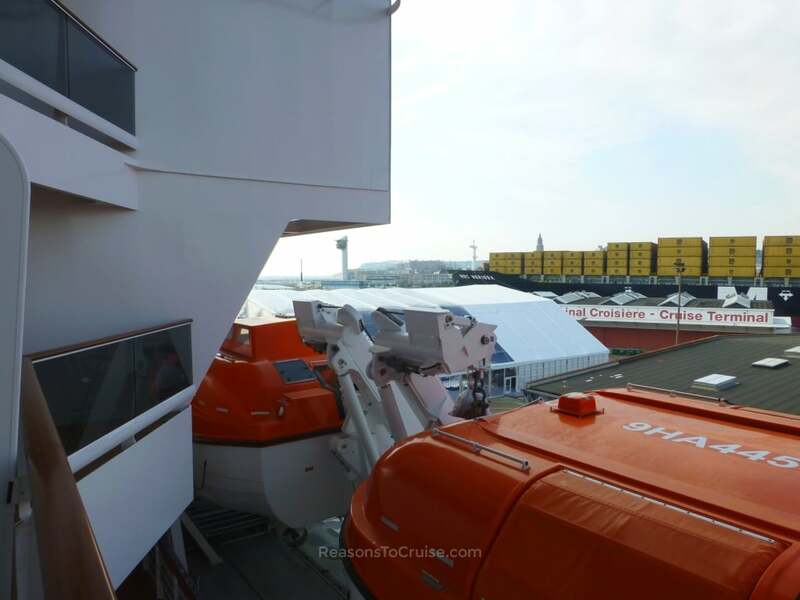 A stairwell with a bank of lifts is just a short distance forward making it easy to get around the ship. Incidentally, the lifts are extra deep but brace yourself for the daunting full-height mirrors plastered on all four walls. Head out of the cabin and towards the rear to find the more tasteful Panoramic Lift with views out to sea as you ascend. 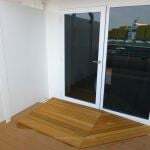 Step-free access is achievable using the wooden ramp out onto the balcony. 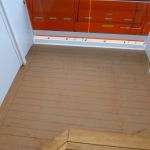 There is a low-rise seam along the bathroom where the carpeting and tiling meet. The bathroom is stunning. It is spacious, well-thought out, and the accessibility equipment (grab rails and a shower seat) disappears into the décor. 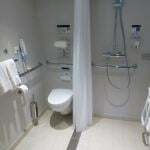 By opting for a wet room inspired design, the sense of space is overwhelming. 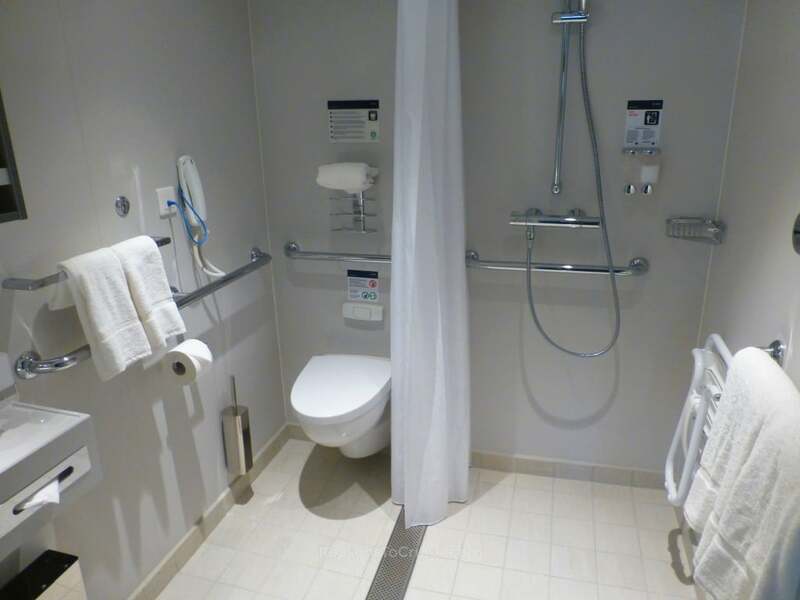 It is one of the nicest bathrooms I have seen on a cruise ship. The balcony is deep. There was no outdoor furniture when I stayed here, but it should follow shortly. 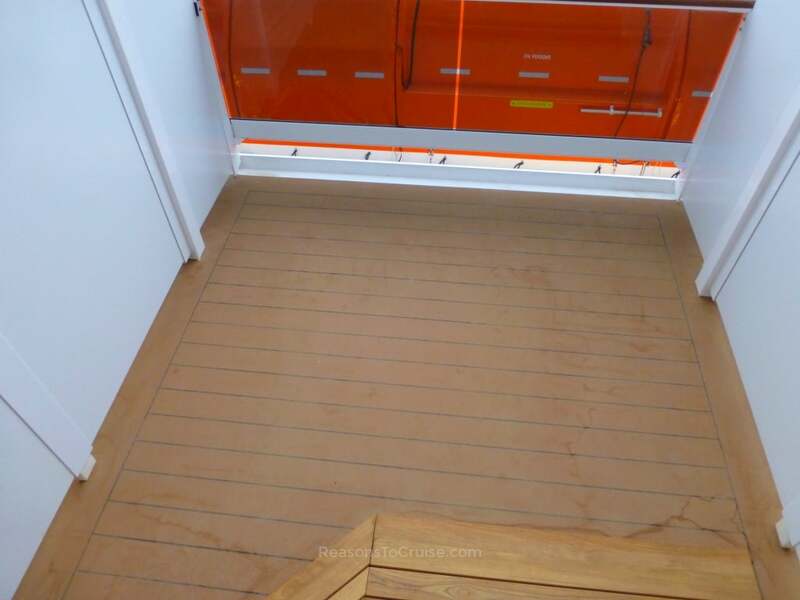 A lifeboat slightly obstructs the view, but as this Bella grade of cabin is the cheapest, this is understandable. The touch-sensitive bedside lamps with two types of lighting are funky. Toiletries made with the cruise line's signature fragrance, Med by MSC, are available in the cabin from dispensers. Some of the accessibility considerations make little sense. For example, the television is fixed to the wall and cannot pivot, so watching it from the bed can be uncomfortable. The bed encroaches the ramp leading out to the balcony, so going outside might be difficult. 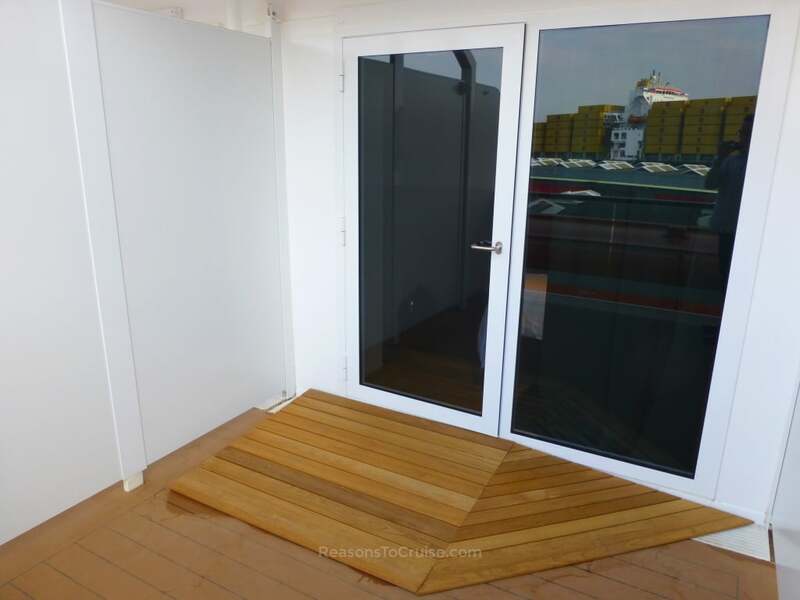 Also, the balcony door is a push/pull door rather than a sliding door, so wheelchair-bound solo travellers may find it difficult getting outside on their own, especially if there is a sea breeze. The cabin sits directly above the TV Studio and Bar, only a problem if you are an early bird. Night owls will not mind the booming music blaring until at least midnight. Early birds will undoubtedly be frustrated with the intense noise level experienced in this room. While the balcony size is exceptionally generous, it lacks any form of privacy as it is overlooked by just about every other balcony above. If you prefer sunbathing with a modicum of privacy, this is not the cabin for you. Curiously for such a modern ship, the cabin has just one USB socket by the desk. For today's connected traveller, two or four sockets would have made more sense. 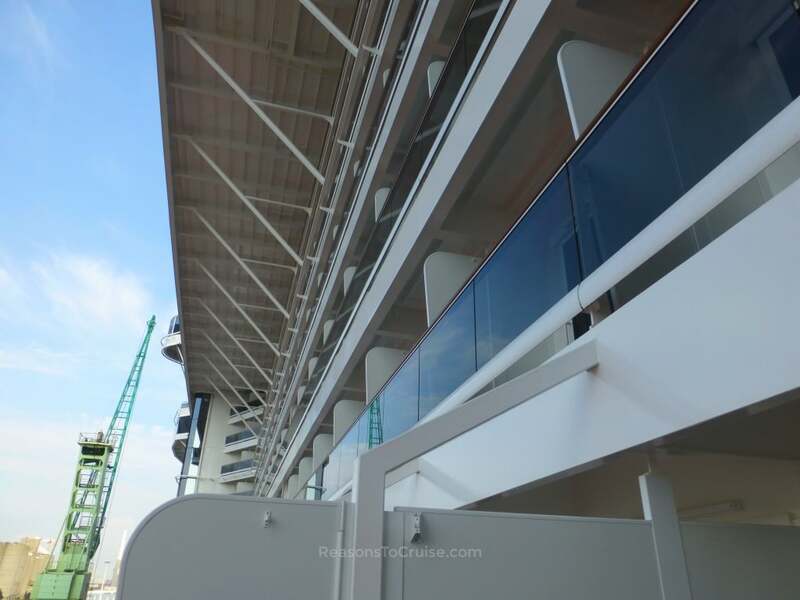 Looking for a different accessible cabin on MSC Meraviglia? 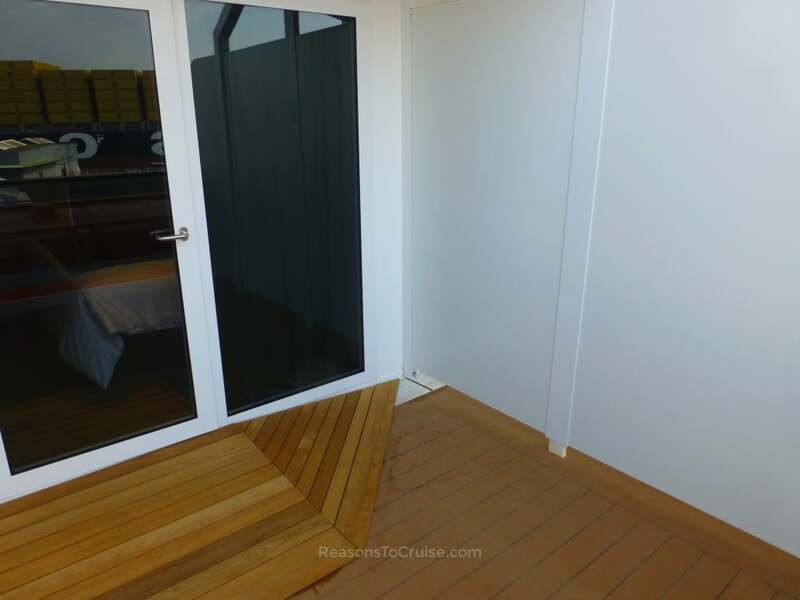 There is a limited supply of accessible cabins (marked with an "H" on the deck plan) so if you want one of these cabins, book early to avoid disappointment. 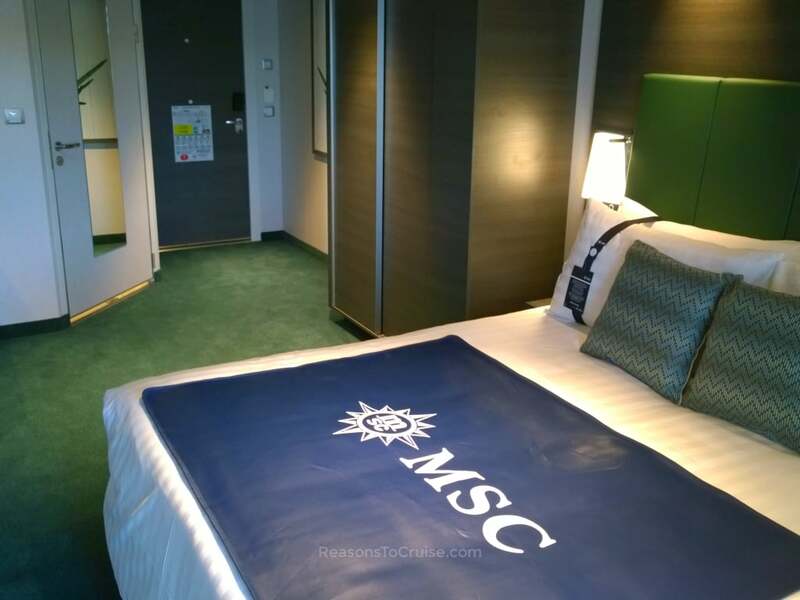 I could only find one accessible MSC Yacht Club Deluxe Suite, and this will be like gold dust - if it is available, do not leave it too long to book as it will go early on. 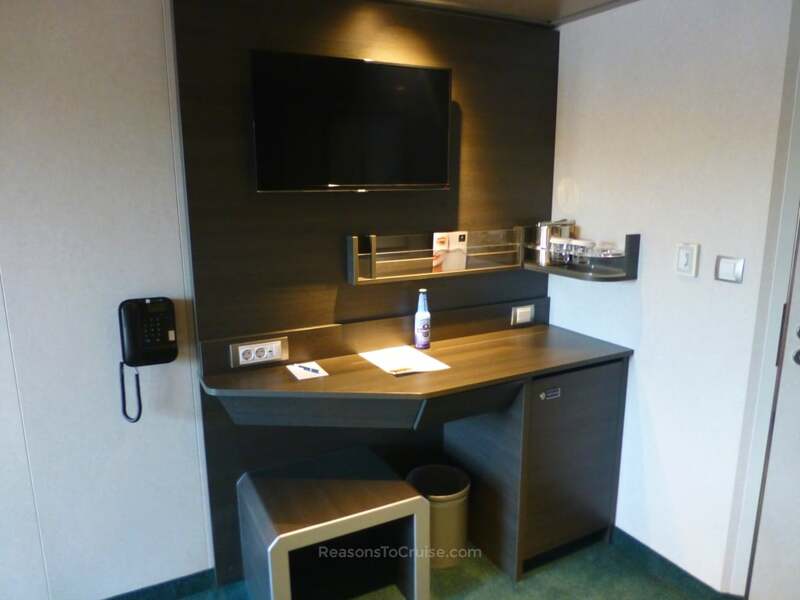 Have you stayed in an accessible cabin before with MSC Cruises? Was the rest of the ship accessible? Let me know in the comments below. 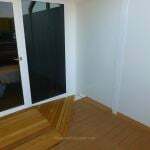 This is a good and comfortable albeit dark cabin with plenty of floorspace and step-free access to the bathroom and balcony. The lifeboat beneath the balcony partly obstructs the view, and is very overlooked from above. Be warned – the nightclub below the cabin plays deafening music until at least midnight. Hello David, Thank you for your reviews – very insightful and I appreciate your approach stating it “as it is”. We booked and paid for Meraviglia on 29 Sept for 7 nights Western Mediterranean and have that very cabin 8090 for our 87yo mother in law and my family and I have 8098. I can cope with all you say, it is Bella experience after all, except for the ‘intense’ noise levels we may experience. I had seen the deck plan and was aware of the TV Studio and Bar below, but was not prepared for deafening noise. 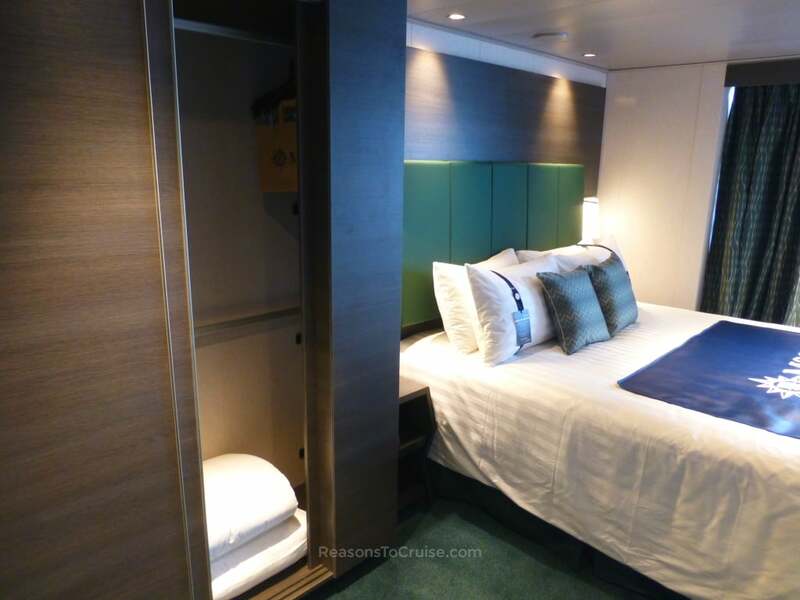 I will contact MSC to see if there are alternatives (limited I am sure with a disabled cabin requirement) or may have to pay to upgrade to get on decks 9 to 13 in Fantastica. 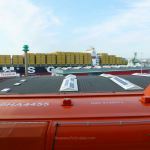 There must be a lot of unhappy customers suffering that level of noise along that part of Deck 8 – be interesting to see how MSC deal with this. Thanks again for a very good review. Thanks for your kind comments. I wasn’t expecting the noise to be as loud as it was as late as it was. I guess that factor contributes to the cabin being classified as a Bella grade. Fingers crossed you can easily secure an alternative cabin. Otherwise, earplugs would be a wise investment if your mother-in-law likes to head to bed early (before midnight). 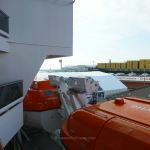 On a week-long cruise, the noise levels may well differ. If mother-in-law does stay in this cabin, please let me know how she gets on with it. Enjoy your cruise in September.